When crocheting for yourself you can basically crochet any which way that you like and use any material that you like. 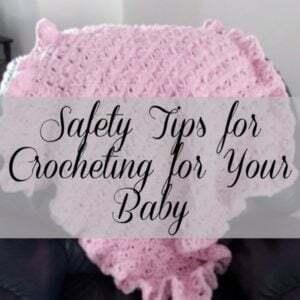 However, when crocheting for your baby you’ll need take a few safety precautions to mind in order to avoid injuries. And this article covers a few tips to get you started on the right track. If you enjoyed this helpful article you might also enjoy more tutorials and crochet designs by Rhelena or by CrochetN’Crafts.